Root canal treatments are one of the most common endodontic procedures to treat advanced tooth decay. Unlike traditional cavity fillings, root canal treatments treat infections that have spread to the nerves, otherwise known as the root of the tooth. In the past, root canals were synonymous with “pain,” and considered one of the most nerve wracking and scary dental procedures. With advancements in dental technology over the last few years, root canals are now almost as painless and routine as a traditional cavity fillings. Has your dentist recently told you that you need a root canal? Dr. Alex Afsahi at Today’s Family Dental in Tampa uses state-of-the-art techniques for a pain-free and effective root canal treatment. One of the best ways to prepare for your root canal treatment is by knowing how the treatment will relieve your pain and save your infected tooth. Root canal therapy is a type of endodontic dental treatment, in which infection is removed from inside a tooth. In order to fully understand what happens during a root canal treatment, you must first learn about the structure of the tooth. The inner layer of your tooth, below the hard level of enamel and inner layer of dentin, there is a soft tissue called the pulp. The pulp of the tooth is the area that contains blood vessels, nerves, and the connective tissue that keeps your tooth alive and anchored in your mouth. Not to mention, the pulp is responsible for creating the surrounding harder tissues during your tooth’s development stages. The pulp of the tooth begins at the end of the crown and extends down to the tip of the root, connecting the tissue to the neighboring root. The root canal is the area in the tooth’s root that contains pulp tissue. When the tooth’s pulp becomes infected, it causes a great deal of pain and can lead to an abscessed tooth. Root canal treatments are recommended when you have an infection deep in your tooth’s root canal. A tooth’s pulp can often become infected by bacteria due to an injury, like a chipped or cracked tooth, or a severe cavity that has gone untreated. Root canal treatments save teeth that are severely infected. When an infected tooth goes untreated, it can lead to a more advanced infection, in which case the tooth needs to be extracted. During a root canal treatment, Dr. Afsahi will remove any dead tissue and bacteria inside your tooth, going deep into the root canal to remove all of the infection. Some patients realize they need a root canal after going for prolonged periods without visiting the dentist. This is usually because a cavity has gone untreated so long that it cannot longer be fixed with a filling. In these instance, no symptoms are present, besides occasional sensitivity to hot and cold. Most patients need root canals, when the pain of their infected tooth becomes so bad that the tooth hurts when chewing and feels tender to touch. In more severe cases, the tooth might become discolored, or the surrounding tissues might be swollen with tenderness around the lymph nodes, gum tissues, and surrounding bones. In worst cases or when an abscess is present, there might be draining present from the infection. Root canal treatments often requires a crown to be placed over the infected tooth afterwards to restore the function of the tooth. With that said, it will generally take two office visits. During the first visit, we will begin by administering a local anesthesia to numb the tooth. Once the tooth is numb, we will use small, state-of-the-art technology to begin accessing the infection through the top of your tooth, much like a traditional cavity drilling. Then, we will use a small file to remove all of the infection and damaged pulp from the inner portion of the tooth. Using similar files, we will shape the inside of the tooth, removing all of the pulp and irrigating the area, ensuring that the entire infection is disinfected. In more severe cases, we might use an antimicrobial rinse to remove any remaining bacteria and prevent further infections. After the tooth’s canal is completely cleaned out and dry, we will fill the tooth with a filling made out of a material called “gutta percha” that is similar to rubber. During your follow up appointment, we will place a permanent crown over the tooth to restore the tooth’s function. In cases where a lot of the tooth’s structure needs to be removed, we will also incorporate a small supporting post in the root chamber, ensuring the crown is stable and functional. As we mentioned earlier, endodontic treatments are notorious being painful. On the contrary, modern root canals put an end to pain caused by infections in the pulp of the tooth. 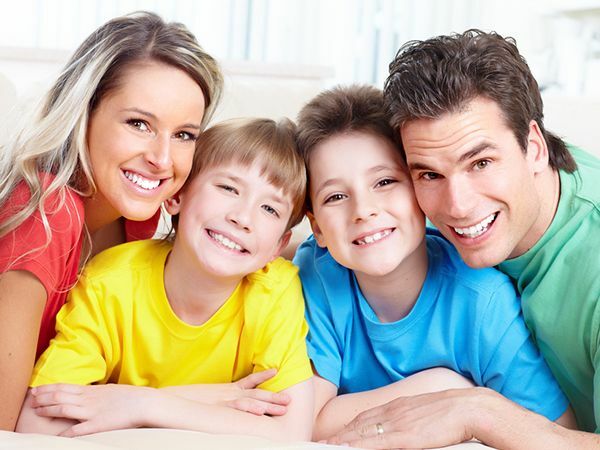 At Today’s Family Dental, we use the most effective techniques and anesthetics, so you can feel comfortable during your procedure. For a few days after your treatment, your tooth might be more sensitive, especially if you were in pain before the procedure. To manage the pain, we will prescribe over-the-counter anti-inflammatory medication or prescription medication, depending on the severity of your pain. After your treatment, your tooth might feel different than your other teeth, until the permanent crown is placed. You can help keep infection at bay after a root canal treatment by continuing to practice a healthy oral hygiene and visiting our Tampa dental office for routine cleanings. You should also avoid chewing hard food, like ice and hard candy, to keep your crown healthy. Schedule your appointment for a root canal treatment at Today’s Family Dental today. Call 813-370-1700.